This most cause of this error is not the actual insufficient memor, but also certain reasons which leads to this error. Below i have listed all the reason and their solution to get rid of this error that come while downloading any app. Update google play store to its latest version and it will probably fix this error. Swipe from left to right in the app. Now you will see list of options there. Now scroll down at last and click on Build Number. Now as soon as you click the build number a pop up will appear. 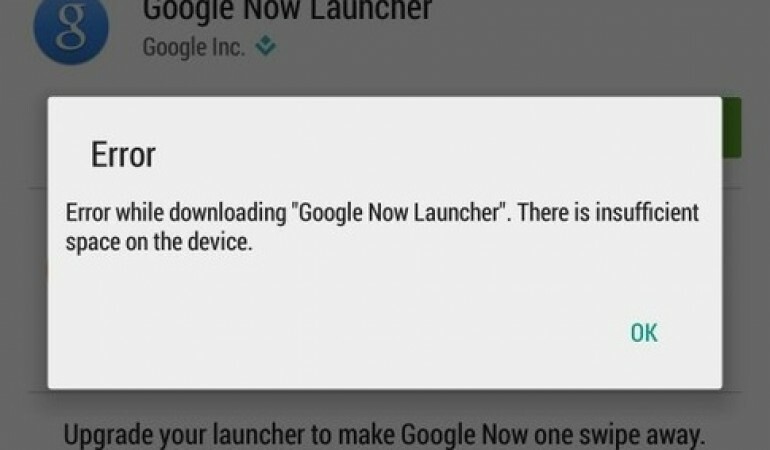 If your app is up to date then it will Show the message “Google Play Store is up to date“. If not then it will display the latest version to install. In this you will clear up all the cache of your google play store which is mostly the reason behind this error in android. Now tap on play store there. Tap on Clear cache and then click ok. In this you will move some apps to sd card to free up space in your android device. Follow steps below. Tap on the app that you want to move to sd card. If you still getting this error then uninstall the bigger apps that consumes more memory in your android device, As this will free up your android space and its error too. So above are the ways for How to fix Insufficient Space Downloading Error On Android. With all the ways discuused above you will easily fix this error in your android device and can download all your favorite apps from Google Play Store without any error. Hope you like our work, don’t forget to share it with others and leave a comment below if you still facing any problem.